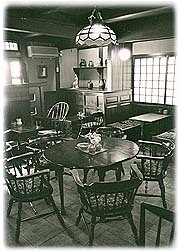 ESTABLISHED IN 1868 THIS COZY RYOKAN(HOTEL) STILL RETAINS JAPANESE TRADITIONAL ATMOSPHRE IN THE OLD CITY SURROUNDED BY BEAUTIFUL MOUNTAINS. 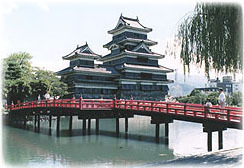 WELL PLACED FOR CITY CENTER AND MATSUMOTO CASTLE, NATIONAL TRESURE. 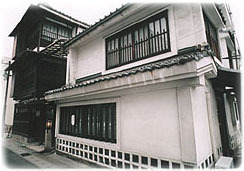 THIS RYOKAN PROVIDES ALL GUESTS WITH A WARMTH AND INTIMACY. 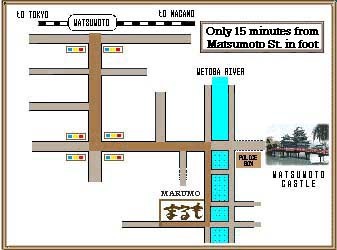 ALL ROOMS ARE JAPANESE STYLE WITH COMFORTABLE FACILITIES.